One of the big problems in modern cinema isn’t so much the behaviour of patrons, the overpriced candy bar selection or inadequate screening technology, although those things are an issue many cinema chains need to deal with. 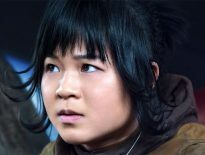 No, perhaps the biggest problem with film culture – especially online – is the constant fight by studios and marketing against spoilers. Case in point: the release this week of Marvel’s latest superhero blockbuster, Avengers: Infinity War, came with a plea from the studio for reviewers and initial audiences not to reveal the movie’s biggest secrets. The anticipation and level of expectation for Infinity War was always going to draw out the trolls and idiots who would revel in the release of crucial spoilers to ravenous fans, and sure enough, a major online publication did exactly that, although not on purpose. You’ve probably heard of Forbes Magazine, the financial tome best known for updating us all with a list of the wealthiest people in the world. From businessmen, showbiz stars and all manner of political and social elite, Forbes’ approach to the 1% has become a time honoured tradition and made the magazine a status symbol known worldwide. Expanding into digital territories gives the company extra latitude to take on different things, such as film reviews, and with that comes a certain expectation. Major film releases have advance screenings for publication outlets (such as Variety and The Hollywood Reporter) on strict adherence to embargoes, most of which lift a few days or a week prior to the film, and devoted cinema companies will usually comply with this if they wish to continue to receive promotion from the Hollywood studios. 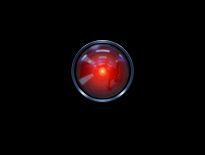 Breach an embargo, and your outlet, website or podcast could be banned or banished from any publicity trains in the future, which is crucial if you’re a publication with a reputation to uphold. The original Forbes tweet linking to the offending article, published on Wednesday April 25th, a full day before the film released globally. 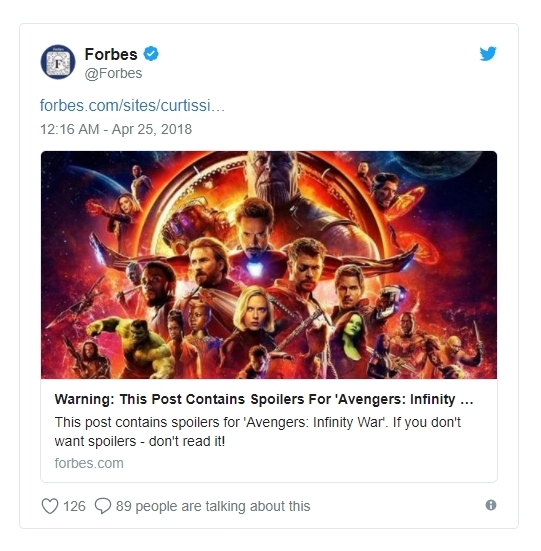 Forbes’ online publication recently breached an embargo for reviews of Infinity War in the most egregious manner possible this week, after a semi-regular contributor uploaded a totally spoiler-filled “review” of the film five hours before the embargo lifted, and, in true online fashion, the fury unfolded. Sadly, the article is no longer available on the Forbes’ site (replaced instead with a pretty stock-standard spoiler-free review by the company’s regular cinema writer) for us to verify (because we’ve seen the film and can vouch for it’s authenticity), although several reputable sources elsewhere have accredited the veracity of spoilers within the article, and the removal of the article has come without a breathless apology from Forbes in recent days. Forbes claims the article was posted by an independent contributor and had no editorial oversight – which brings with it a whole different set of problems – and the man responsible, Curtis Silver, doesn’t appear to have made any attempt to reconcile his act of pop-culture sabotage with any kind of apology. The film’s directors sent a letter to all major publications asking them not to spoil the movie. Other employees of Forbes have come out online and decried the decision of Silver to publish the spoilers of the film even before it had opened anywhere. Fair enough: they weren’t involved, and almost to a person found Silver’s actions deplorable. 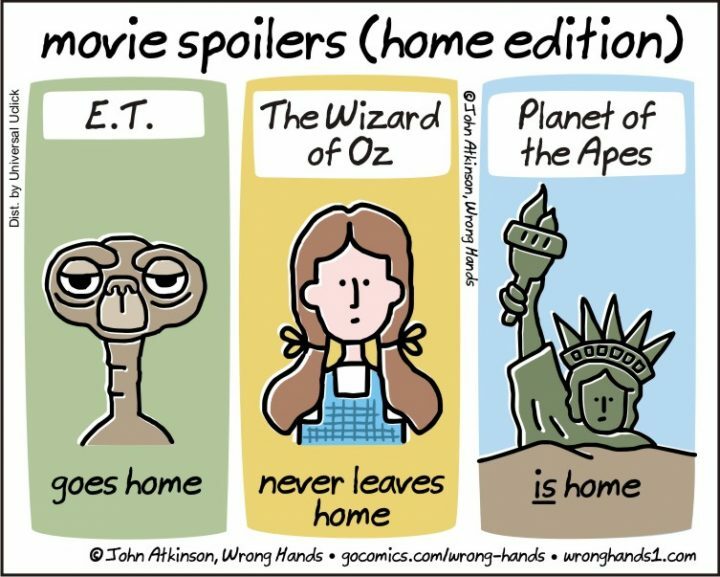 With the release of said spoilers before the majority of the world’s population even could see the film, it wasn’t long before trolls began spreading this information far and wide online. 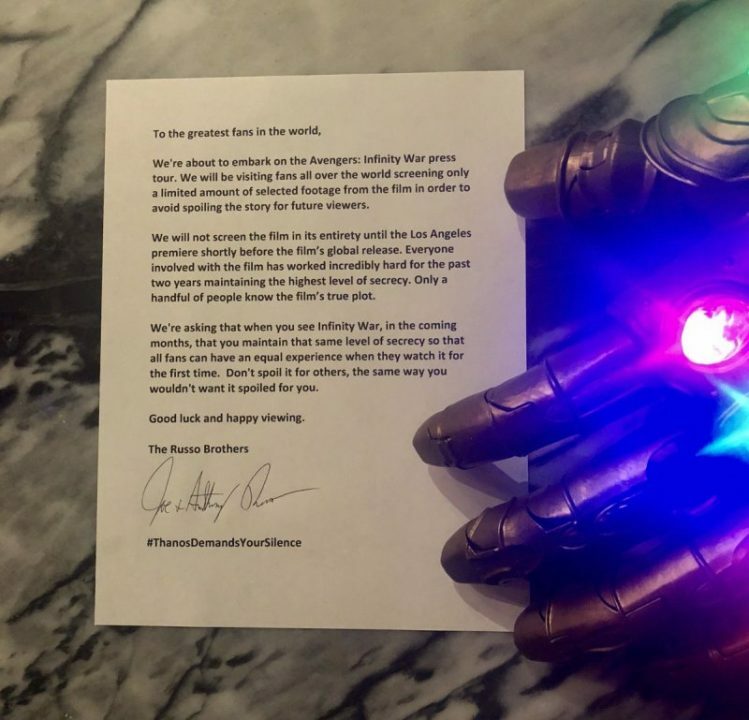 Marvel, who had been using the hashtag #ThanosDemandsYourSilence as a way to ask fans not to give away the film’s secrets to those yet to see it, had to be disappointed. Inevitably, spoilers have become a part of online life, and for anyone with a Facebook or Twitter account, the battle to avoid them has only grown more and more ferocious. Discovering a film’s Big Twist or character revelation – who dies? who lives? who has a baby? – before seeing the film removes the chance to experience the thrill of such revelations in the cinema. That’s why you pay your money. Look, most reviews of big films will have some kind of spoilers within, some moreso than others. Usually, professional publications will indicate the presence of spoilers before you read on – dickhead ones will put a giant spoiler in the headline, ugh – and this is fine if it’s well into a film’s release schedule, because you can make a conscious choice to read them or not. But there are those who cannot wait to ruin a film for others. 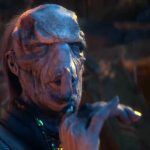 Sadly, ten years of buildup for Infinity War have been ruined for many because a select few decided to give away the film’s secrets before literally anyone had a chance to see it. Dickhead Curtis has no doubt been ditched by Forbes – it’s certainly a possibility for Forbes to face legal action from Marvel for potential lost revenue over all this, and there’s a decent chance the magazine will find itself blacklisted for future films – and I’m inclined to hope the situation serves as a reset warning for other publications employing the same kind of people. Editor’s Note: Our own review of Infinity War did contain some minor narrative spoilers for the purpose of discussion, but no major reveals of who lived, died, appeared, didn’t appear, or grow a third arm within the movie.